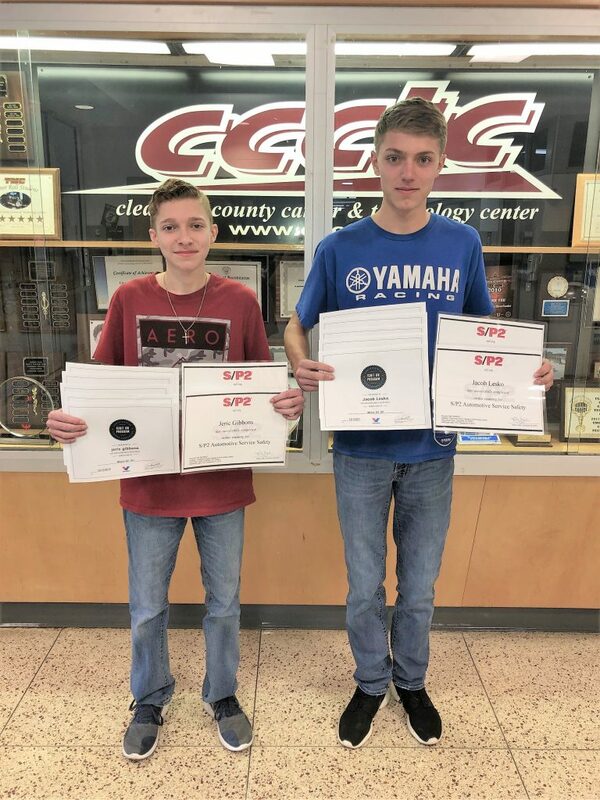 Students in the Automotive Mechanics program at the Clearfield County Career and Technology Center (CCCTC) learn various skills throughout the school year, earning them certificates in several different areas of the trade. Students recently worked on their Valvoline Ignition certification and their S/P2. Students learned about motor oil, automotive fluids, and more. Successful students are awarded certifications through the program to show what they’ve learned. To learn more about the opportunities through the CCCTC, visit us at www.ccctc.edu.